Cora Irene Davis was born on 1 November 1866 in Holland, Erie County, New York. Efner 5, Cora 3, Charles 1. Other members of the household included Cora Irene Davis, Efner G. Davis and Charles E. Davis. Stephen Davis and Henrietta Rogers appeared in the US federal census of 1 June 1880 in Holland, New York. Other members of the household included Cora Irene Davis, Efner G. Davis, Charles E. Davis and Marintha Davis. For some reason, young daughter Linnie was not enumerated with the family. 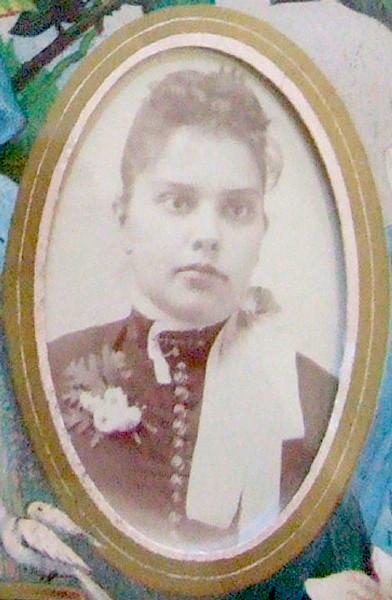 She married William H. Guenther, son of Phillip Guenther and Eunice Elizabeth Chase, on 3 October 1888 in Strykersville, Wyoming County, New York, solemnized by J. Horace Mallows. The marriage was witnessed by Efner G. Davis and Myrta A. Plugh. The following appeared in The Independent: (Holland Center) Died, March 15, the infant child of Wm. and Cora Guenther; interment in Hunters Creek cemetery. William H. Guenther and Cora Irene Davis appeared in the New York state census of 16 February 1892 in Holland, New York. Son Gaylord is identified as George. 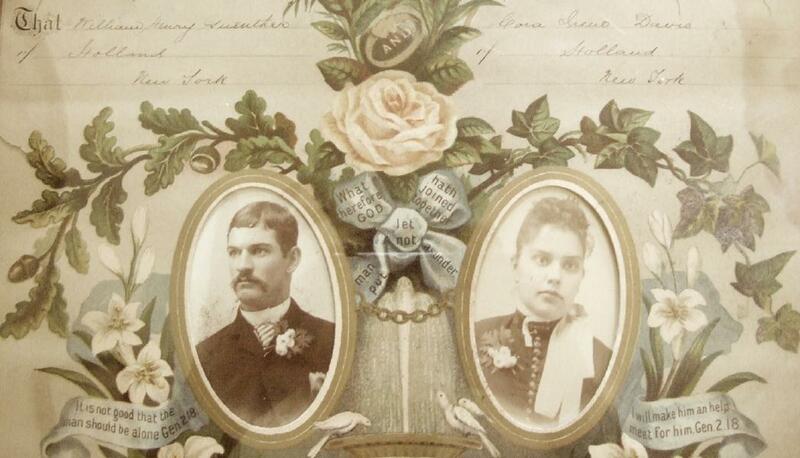 William H. Guenther and Cora Irene Davis appeared in the US federal census of 1 June 1900 in Holland, New York. Other members of the household included Gaylord Stephen Guenther. William H. Guenther and Cora Irene Davis appeared in the US federal census of 15 April 1910 in Attica, Wyoming County, New York, at North Avenue enumerated not far from Cora's sister Dora Graham and their mother.. Other members of the household included Gaylord Stephen Guenther. William H. Guenther and Cora Irene Davis appeared in the New York state census of 1 June 1915 in Attica, Wyoming County, New York, at Washington Street. Other members of the household included Gaylord Stephen Guenther. William H. Guenther and Cora Irene Davis appeared in the US federal census of 1 January 1920 in Attica, Wyoming County, New York, at 21 Water Street. The following appeared on 28 June 1921 in The Daily News: (Attica) Mrs. William Guenther of Washington street was in critical condition yesterday. Her son, Gaylord Guenther, with his wife and little son, have come by automobile from Niagara Falls. 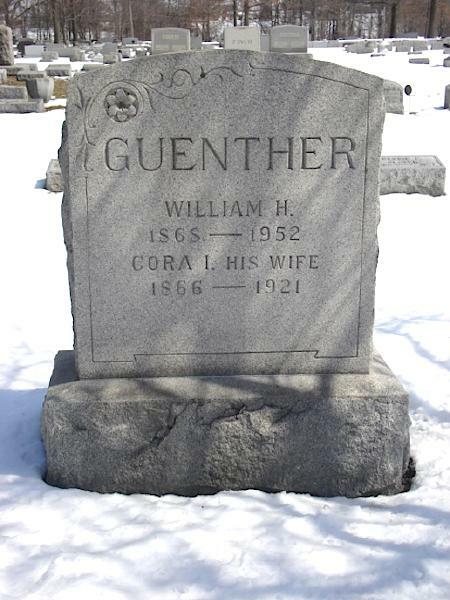 William H. Guenther became a widower at her death. Cora Irene Davis died on 28 June 1921 at age 54 in Attica, Wyoming County, New York. The following appeared on 29 June 1921 in The Daily News: (Attica, June 29) Mrs. Cora I. Davis Guenther, wife of William Guenther, died at her home here about 2:30 o'clock yesterday afternoon following a prolonged illness, the result of two apoplectic strokes. Mrs. Guenther was born at Holland on November 1, 1866, and had lived for a number of years in Attica. Besides her husband she leaves a son, Gaylord Guenther, and a grandson, Jack Guenther of Niagara Falls; two brothers, Charles Davis of Varysburg and Ephraim Davis of Rochester, and a sister, Mrs. Thomas Graham of Rochester. The funeral will be held at 11 o'clock tomorrow morning from her late home, the Rev. Charles Parkhurst of Endicott, formerly of Attica, officiating. The burial will take place in the Forest Hill cemetery. The following appeared on 23 August 1939 in The Sheldon Democrat: Mr. and Mrs. William Guenther attended the funeral of Efner Davis of Arcade. A single grave marker identifies the graves of William H. Guenther and Cora Irene Davis.